I've been employed in Jeddah for almost eight years and it seems like I started only yesterday. Now that I'm finally leaving the Kingdom of Saudi Arabia for good, I feel that every single remaining day of my stay counts like a precious minute. My Saudi clock is ticking that fast I'm already experiencing separation anxiety. Yes, I'm anxious that I will be leaving Jeddah which has been my home away from home after all these years. I did manage a yearly sabbatical to the Philippines but most of my waking hours and snoring nights are spent here. 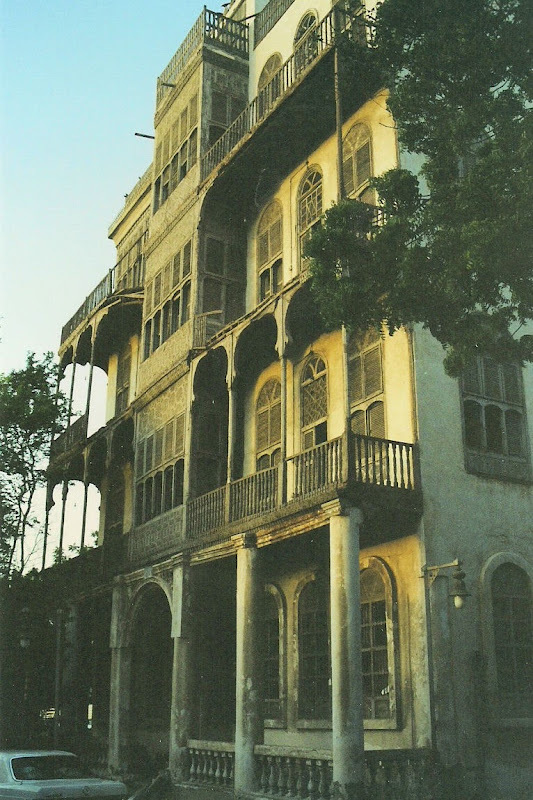 The heat and humidity during summer are reminiscent of home but there are certain facets of Jeddah that are truly unique. First of all, Jeddah is the gateway to the holy city of Mecca, the bastion of Islam. The culture and traditions here are way different from what I've been accustomed to. Almost eight years later, I can say I have become used to it. Most Saudis I've met in Jeddah are hospitable. How could I forget losing my way in the maze of the city's Old Quarter in Balad when I tried to visit the souk (market) alone for the first time? 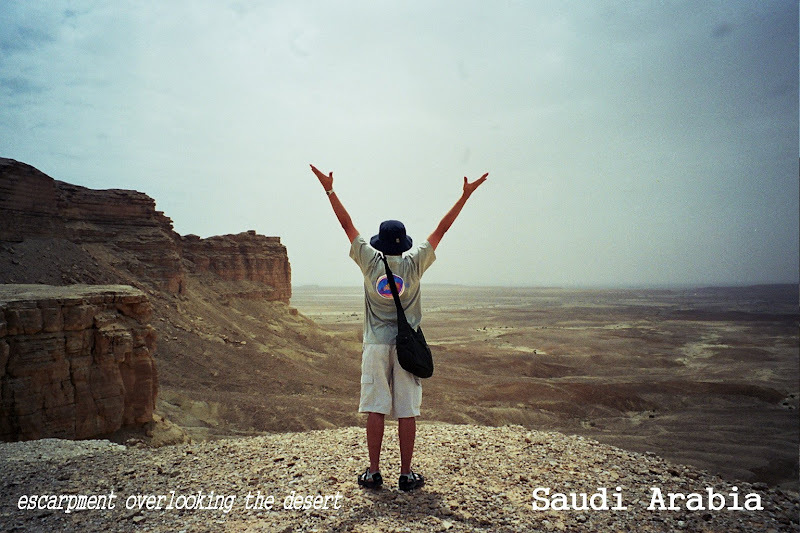 There I had my first taste of Saudi hospitality when I asked directions from an old man sipping his afternoon tea. In the ensuing confusion with my infantile Arabic plus body language, he ended up offering me a cup of that mint-flavored drink. I finally got to the souk and took that memorable encounter as a sign of other good things to come. The souk indeed has a character of its own which is different from Jeddah's upscale malls. Rows upon rows of shops selling goods that ran the gamut boldly announce "Everything Is Ten Riyals", enough to entice the most budget-conscious. Then there are the jewellery shops that can truly bust the budget. In what is considered a display that could hypnotize both robbers and women in any Third World country, windows of jewellery stores are dripping gloriously with 21 karat gold. Shame on you Yamashita, you didn't live long enough to invade Arabia. Some shopkeepers regale expat passers-by with a phrase or two of the latter's mother tongue. One Yemeni turned to me and addressed me kabayan, obviously knowing my Filipino looks and began a litany of comical Tagalog words. Although I'm used to fixed prices, consequent visits to the souk taught me the art of bargaining. It's actually the drama involved in the practice that I find encouraging more than the prospect of saving some riyals out of the transaction. One day I tried bargaining really hard with a shopkeeper and this Arab blurted out "huwag naman magkuripot". The nerve. As I went home on a taxi driven by a Pakistani during one of these market expeditions, my mind swirled with the carnival of Arabic, English, Tagalog, Hindi, Urdu and some other strange languages I've heard in the souk. In a city blessed by oil wealth, foreigners coming from various points of the planet work and live here. 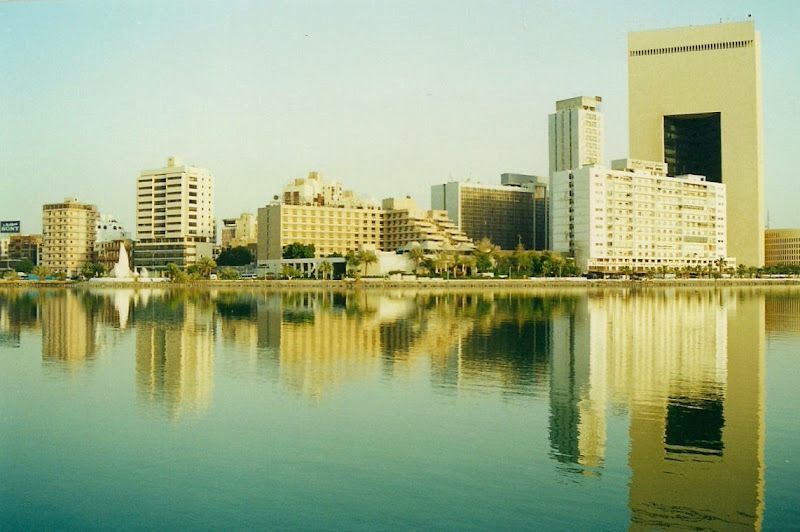 Jeddah, being the commercial capital of the Kingdom, relies heavily on foreign workers. In the hospital alone where I work, there are Filipino, American, British, Irish, Egyptian, Indian, Pakistani, Bangladeshi, Australian, Nigerian and South African professionals, technicians and other staff. Jeddah is truly a melting pot of races. 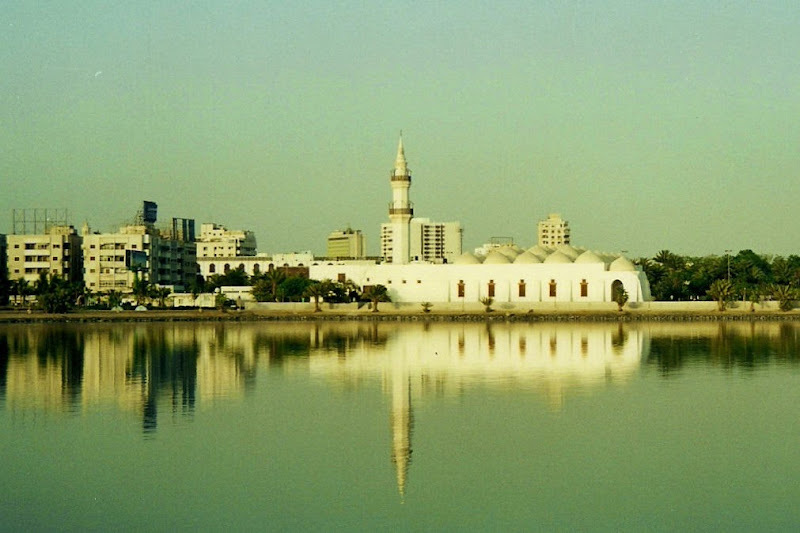 Jeddah's restaurants are as diverse as its inhabitants. Want Indian tandoori chicken or khorma? Or Japanese sushi? There's a lot more but for me, it's more than just gustatory experience that I encounter in a down-to-earth bukhari restaurant. Local patrons congregate there in groups sharing fistfuls of chicken and yellow rice from one huge round platter complimented by an array of side dishes. There is a lingering air of Arab machismo as I hear them bantering loudly even with their mouths full. Most of these men round-up their meals with ghawa (fragrant Arabic coffee) and sheesha (water pipe) for some post-prandial male bonding. The king of fastfood in Jeddah however is the inimitable Al Baik chicken. Most of the foreigners, especially us Pinoys, swear this is the food to be had when hunger pangs caught up with you anywhere in the city. The chicken is served hot in a box that contains fries, bread and garlic sauce. It's absolutely filling and always goes best with Pepsi, the better-tasting softdrink in Saudi Arabia. Just after the evening prayers, expect a hungry crowd milling outside the restaurant's doors as they wait for it to open. The evening prayers are just one among the five that faithful Muslims do every day. The first one starts really very early, oftentimes the Imam's call to prayer over loudspeakers become my alarm clock. There are at least one mosque within a kilometer of each other so you can just imagine when all the Imams start their pre-dawn call altogether. The prayers, lasting several minutes, resume again at noon, followed by afternoon, sunset and evening prayers. Shopping malls, restaurants and all forms of businesses close during the duration of these prayers. And many times, I've seen the bearded Mutawas (religious police) publicly chastising Muslims who are seen loitering around public squares to go inside the mosques. Mutawas, with their fancy official name - say this in one breath if you can - Committee For The Propagation Of Virtue And The Prevention Of Vice, regularly roam around city blocks escorted by police. They strictly enforce shariah or Islamic laws, common of which is strict dress codes, separation of unmarried men and women, prohibiting the practice of Christian faith and forcing Muslims to pray on time. They are fearsome at once but clever Pinoys have certain ways of avoiding their wrath. I've crossed paths with these Papa Smurf look-alike so many times that I just look the other way around. They don't even ask for my Iqama - the equivalent of a residency card which replaces my passport safeguarded by Human Resources at work. Learning Arabic was one big challenge that I encountered on my very first day at work in the hospital. My first word was sadik or friend. I felt dumb as I made my rounds in the ward with an experienced Pinoy who was talking like a native Saudi to a patient. My Pinoy colleague was my translator. Helplessly, all I could say was "Hello sadik". Little did I know that I would gradually learn the language not from the orientation booklets given to us but from the patients themselves. 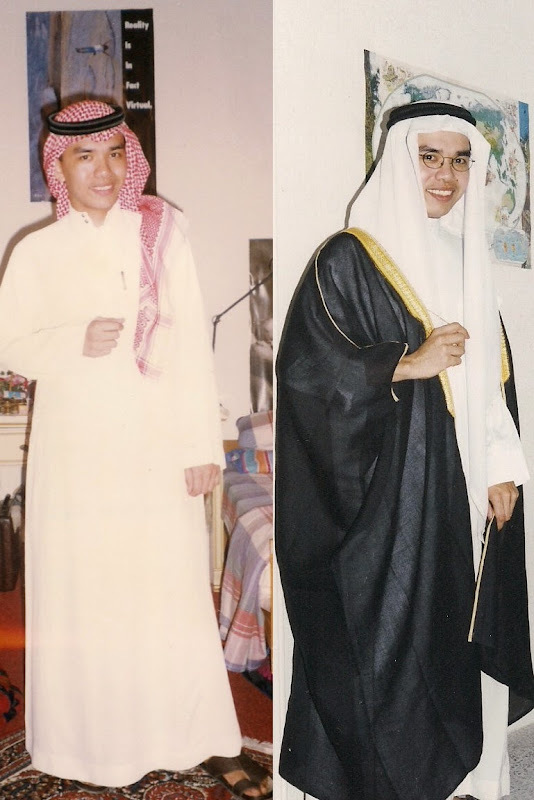 Many of my patients were educated Saudis who can converse in English and caring for them not only became a tutorial class in Arabic language but also an immersion into their unique culture and tradition. Visiting times are especially significant as I find myself drawn to the presence of their relatives and friends who seemingly have unending questions to ask about their patients. In three months, I felt confident enough with my Arabic that I didn't bother my Pinoy colleague anymore. 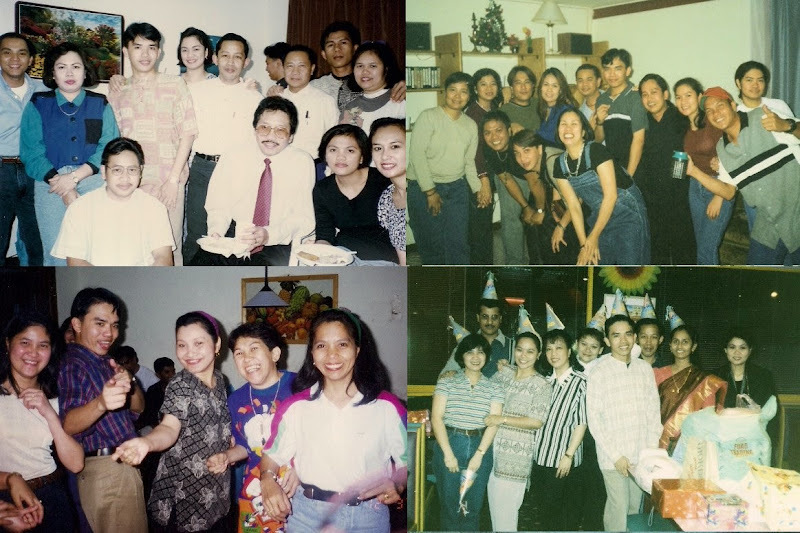 Being away from home and working in Saudi Arabia was made all the more bearable thanks in large part to the huge number of Pinoys based here. In the hospital alone, there were plenty of us who speak not only Tagalog but my native Cebuano as well. Seeing another Pinoy colleague at work - and talking in our own tongue - was comforting and reassuring enough. It's even better in hospitals that there's no segregation between men and women employees. We all live in hospital-provided housing just a few minutes walk away - men and women of course have separate compounds. But after work, we had a host of optional things to do - play and socialize at the compound's Recreation Center or attend parties (I can't tell where of course) or go to one of the numerous beach resorts in the Red Sea. Or shop in Balad. WHO SAYS WE DON'T LOVE TO PARTY? 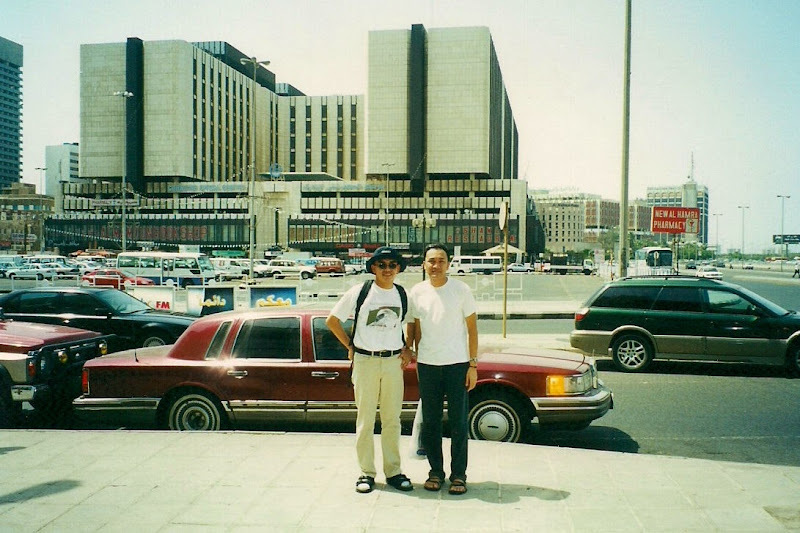 Balad in Jeddah is the epicenter of Pinoy shopping, dining and just plain kumustahan. Fridays are particularly crowded when almost everyone is on a day-off and company buses disgorge more Pinoys coming even from other towns and cities. Tables at Al Shawly restaurant are brimming with Pinoys who crave for fresh lumpia or kare-kare. The malls are packed with a humongous crowd of Filipinos that it is hard to believe one is smack in the center of a foreign city and not in Manila. Now that I'm leaving Jeddah in a few days, I'm getting anxious because I know I'll miss this city once I get on that Manila-bound Saudia plane. I'll miss the souks, the aroma of Al Baik chicken, the weekend parties and most of all, the wonderful people I've met who have become my friends. It's difficult leaving all these behind. But I know I've become a part of Pinoy diaspora. I'm one among the thousands of Pinoys who have left the Philippines in search of the proverbial "greener pastures". In the next few weeks, I'll be starting life anew in the United States. And then, it's all over again for me. A new life, a new culture to adjust to. Looks like working in Saudi Arabia is fun after all! your account is quite an eye opener. most of the people i know who are working in jeddah did not have the same positive words about the city. I did not know that the men and women in the hospitals are not segregated. nice post! a first time visitor here bro. ur second picture (part house/building), was featured in travel and living. it has a rooftop where they had a feast for the visiting american tourist.ganda ng blog bro.good job. 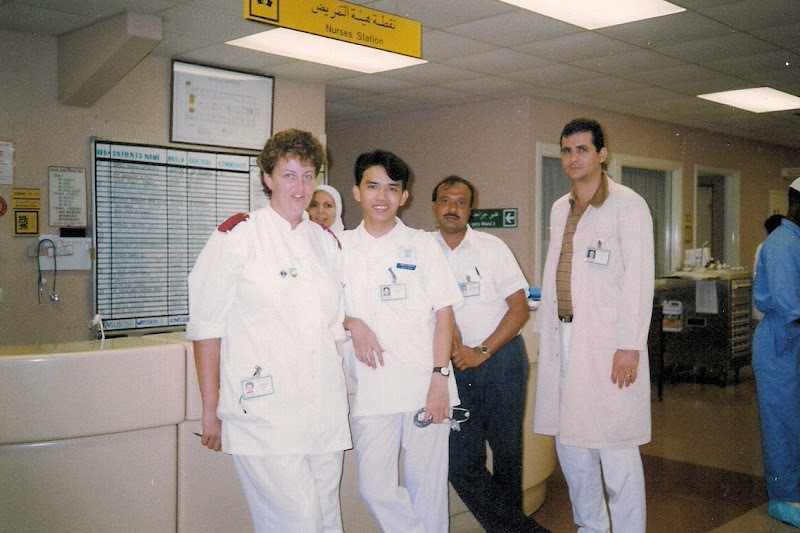 I have also spent 12 years of my life working as a Nurse in Jeddah's Maternity and Children's Hospital. When I read your blog, it made me miss the place especially the friends I left behind. Jeddah is a very beautiful place with really hospitable people. I have always been proud to have worked there. My work experience gave me self confidence as I have gained more knowledge and necessary skills to deliver the best quality of nursing care. I am now resident in the United Kingdom but Jeddah will remain in my heart forever. Thanks for this post and I hope that many people like me should be able to read this too. 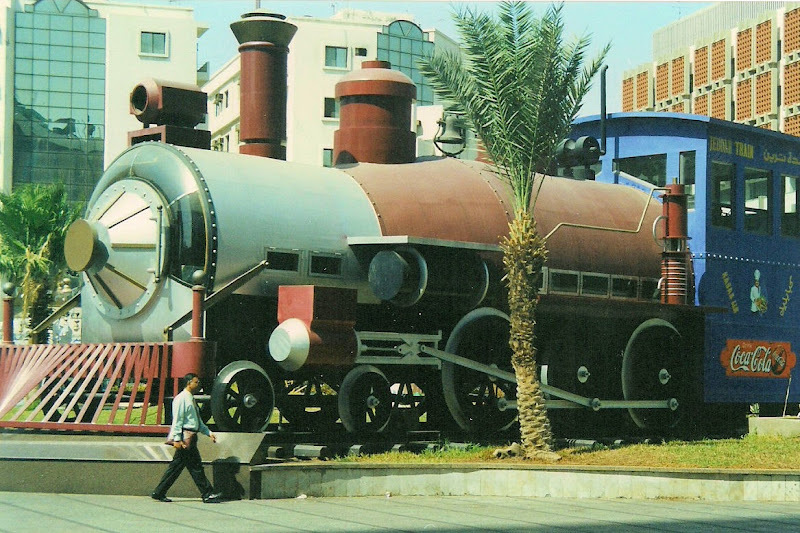 i am about to go to jeddah and thankyou for your nice post..iv been looking for positive aspects of working there and i found it in your blog..i hope you enjoy working in your new place..very nice post u made me feel optimistic about the place..